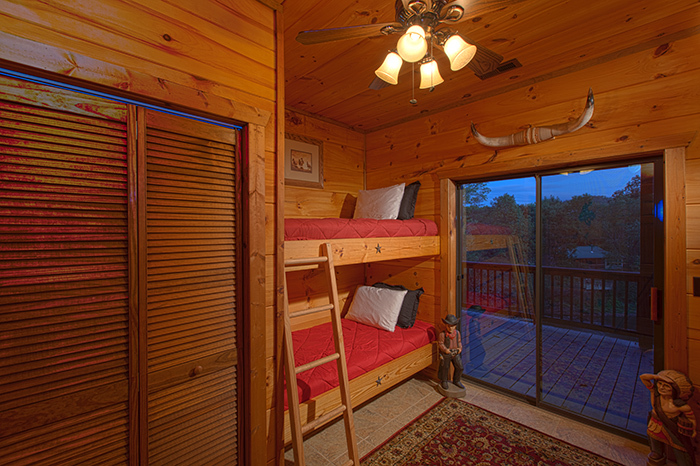 Terrace Level Bedroom with Bunk Beds and Covered Porch Access—Perfect for Kids! 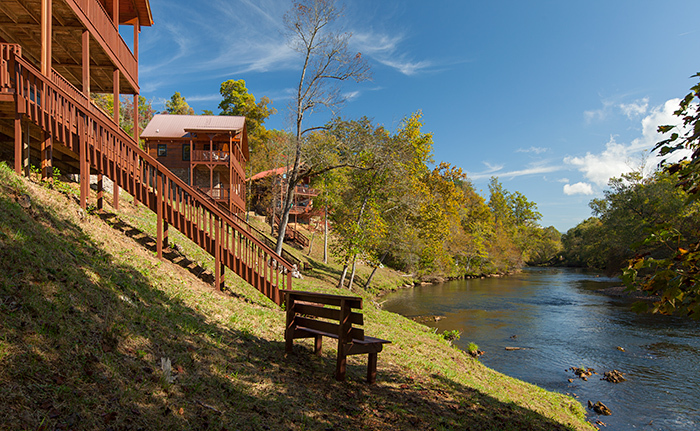 Relax & Rejuvenate Along the Peaceful Hiwassee River—Just Steps from the Cabin! 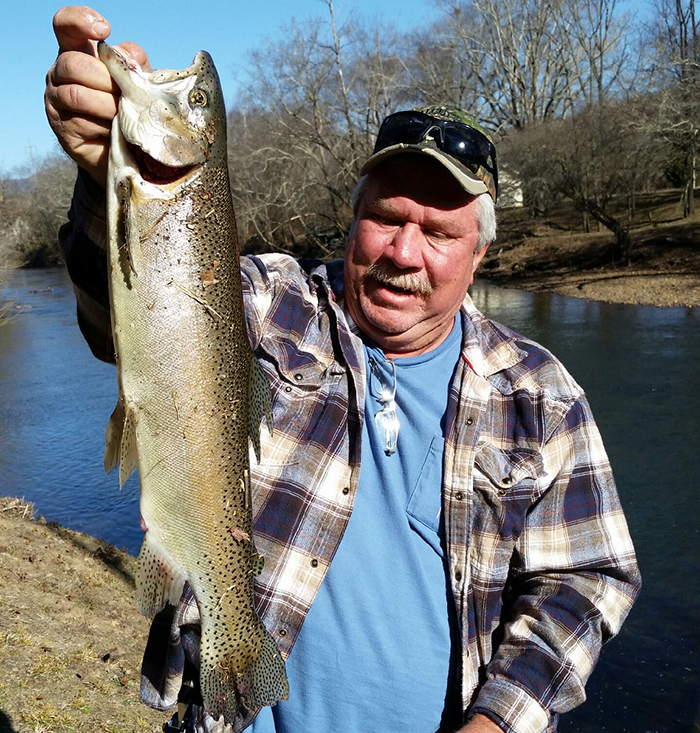 Hiwassee River Retreat—Your Perfect, Peaceful Riverfront Getaway! 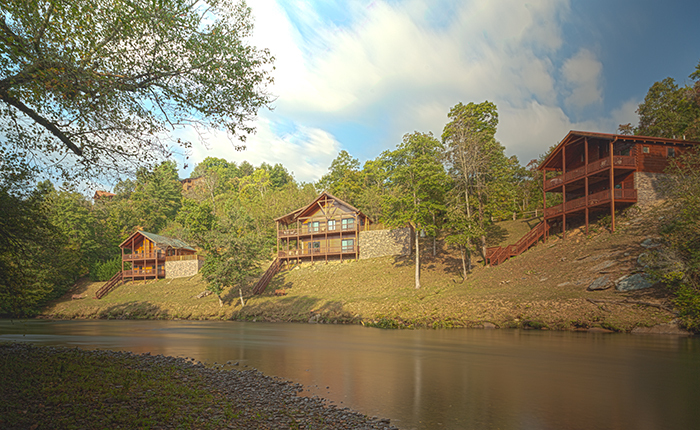 A mountain-river treasure located in the heart of the Appalachian Mountains, Hiwassee River Retreat sits on the banks of the famed Hiwassee River in Murphy, North Carolina, just a short 30 minutes up the road from Blue Ridge, Georgia. 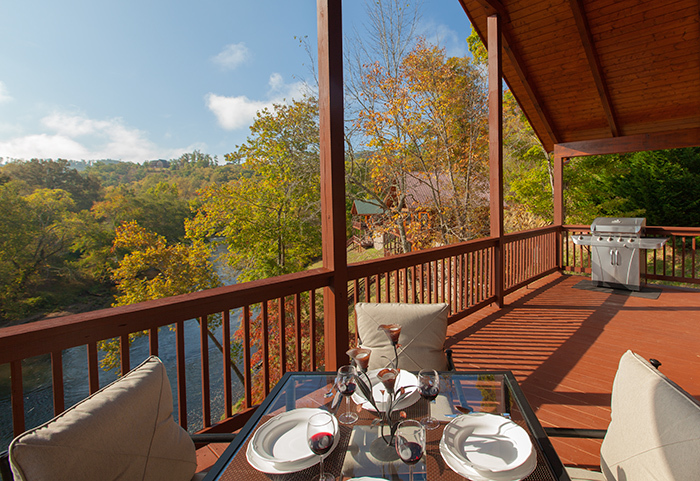 Perfectly set up for a luxury three cabin private compound within walking distance to River Run and River Sanctuary, large group retreats will certainly find their own exclusive hideaway located in one of the most serenely beautiful spots in the Appalachian Mountains. 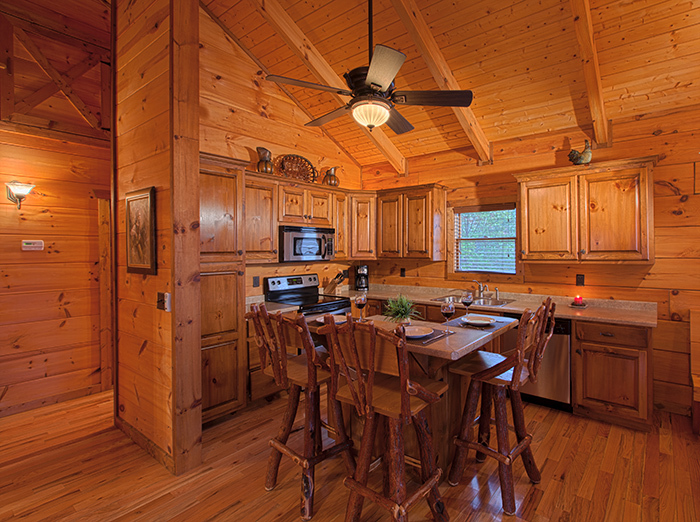 However, each cabin can be rented for romantic getaways or family vacations. 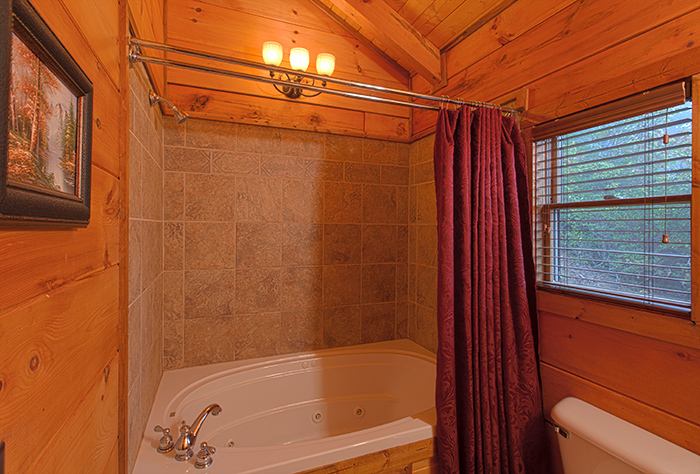 Each luxury cabin in this setting is a 3 bedroom/2-bath authentic log home with spacious covered decks and outdoor seating to immerse yourself in the sights and sounds of a large rushing river running through the mountains. 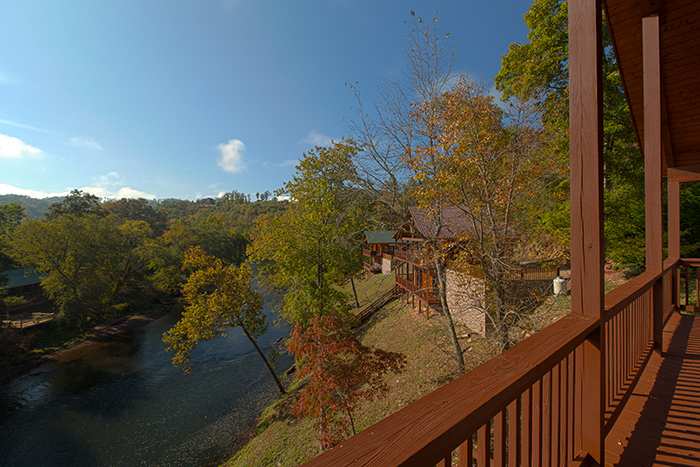 Completely private and secluded except for the cabins across the river, you will feel a million miles away from the world. There's adventure in the area that will suit everyone's delight. 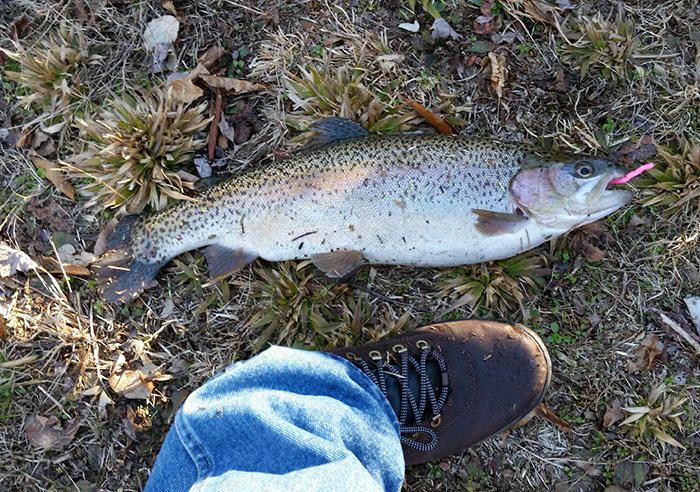 Enjoy the Cherokee Casino built on trust land of the Eastern Band of the Cherokee Indians, which is just a 10 minute drive from River Retreat. 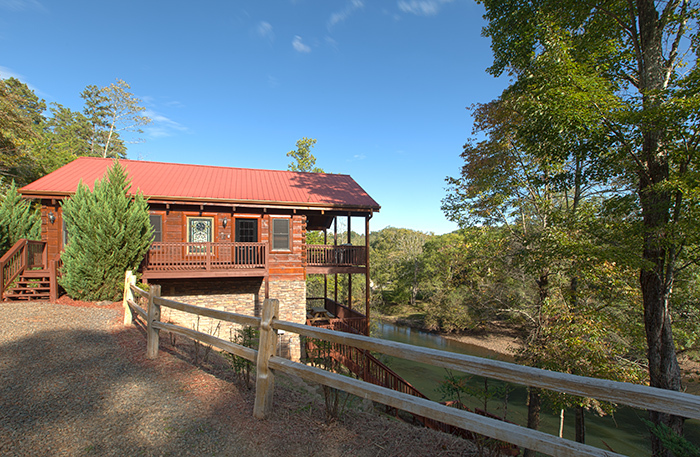 The infamous John C. Campbell Folk School is just 5 miles away, and definitely worth visiting if you would like to take some classes or Contra Dance w/ live music Tuesday nights 7-8p and Saturday nights ~ that's a family favorite! The historic Fields of the Woods is about 15 minutes away ~ a biblical theme park encompassing more than 200 acres of beautiful valleys, mountains, streams, and wooded areas with concrete markers placed throughout the park depicting the Bible on stones in one of the most unique ways found anywhere in the world. Historic Downtown Murphy features antique shopping, galleries, restaurants, nightlife, and a great quilt shop, an old-time movie theater that plays current movies, just to name a few. 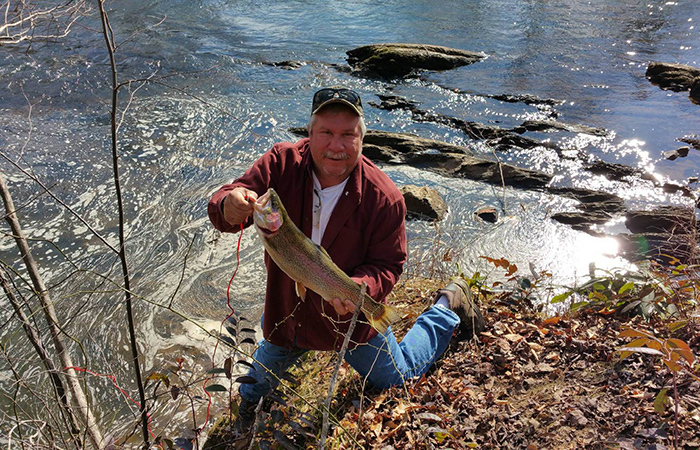 For those adventuresome at heart, whitewater rafting the Nantahala and Ocoee Rivers is a must, along with the Scenic Cherohala Skyway, mountain biking, beautiful waterfalls, scenic drive to Tellico Plains, TN - an amazing drive for leaf peeping. You will also find the stunning wedding venue McGuire's Millrace Farm less than ten miles away, making this the perfect spot for wedding attendees. 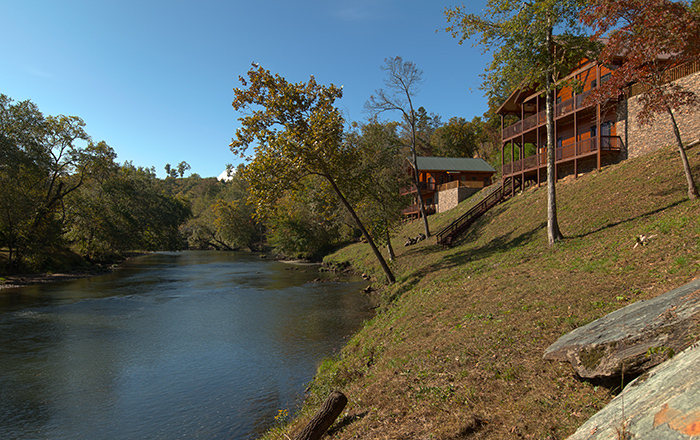 Perched on a gently sloping ridge overlooking the running waters of the Hiwassee River, Hiwassee River Retreat features the peaceful retreat you are looking for. 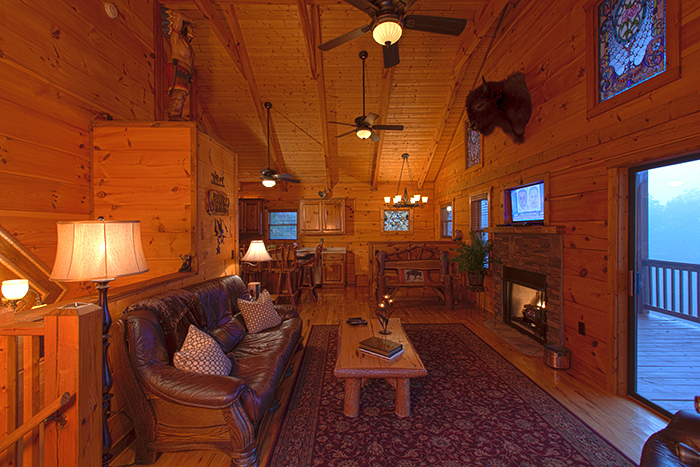 Relaxing in the living area in front of the stone gas-log fireplace with the doors open to the beautiful views, immerse yourself in the sounds of the running waters of the Hiwassee River and a small waterfall adjacent the descending staircase down to the River. A perfect spot to sit, read a book - if you can take your eyes of the mesmerizing waters of the river. 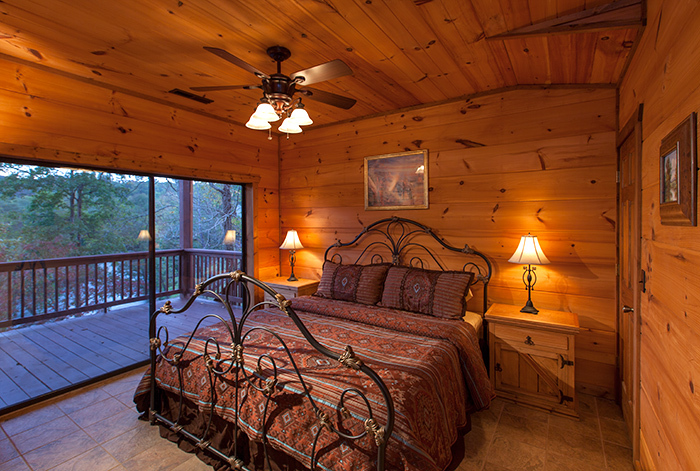 At the end of the perfect day, you will find restful repose in 3 bedrooms - 2 King beds, and a bunkbed outfitted with luxury linens and memory foam mattresses for the perfect night's sleep. 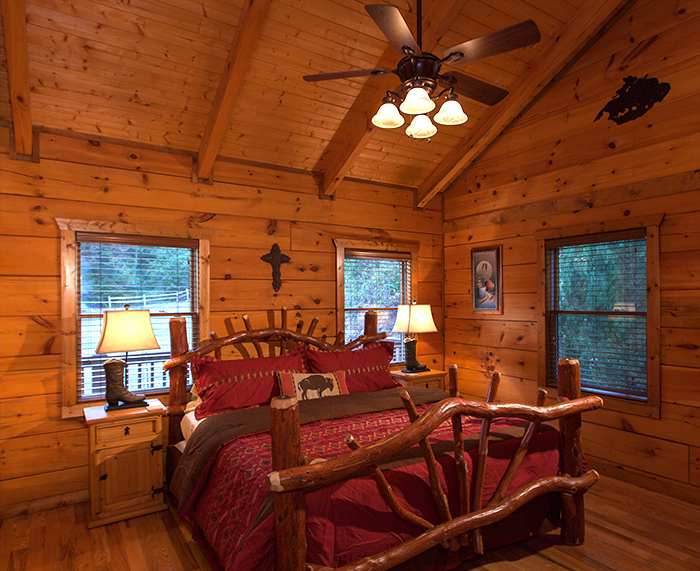 Awaken refreshed as the sun cheerfully pours in the windows, promising another day of discovery and peace. 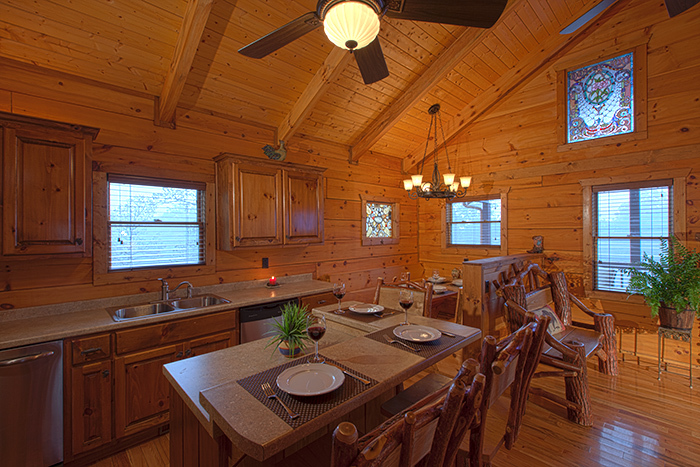 3 bedroom - 2 bath authentic log cabin featuring special unique stained glass windows from old churches in upstate New York. 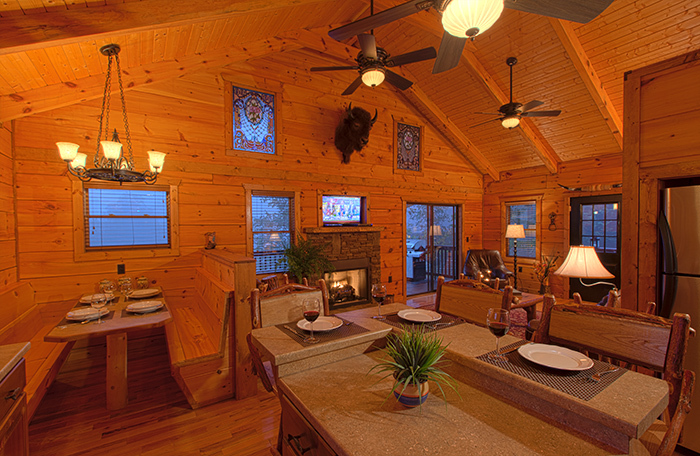 Wow, this cabin is beyond amazing. 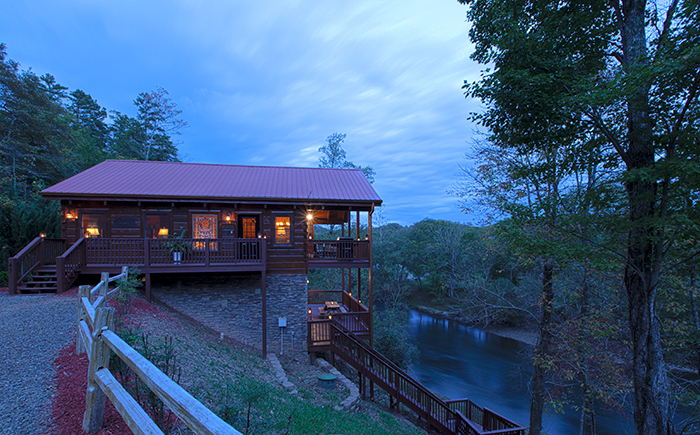 We enjoyed staying; it was so relaxing and non-stressful! We will definitely be back! 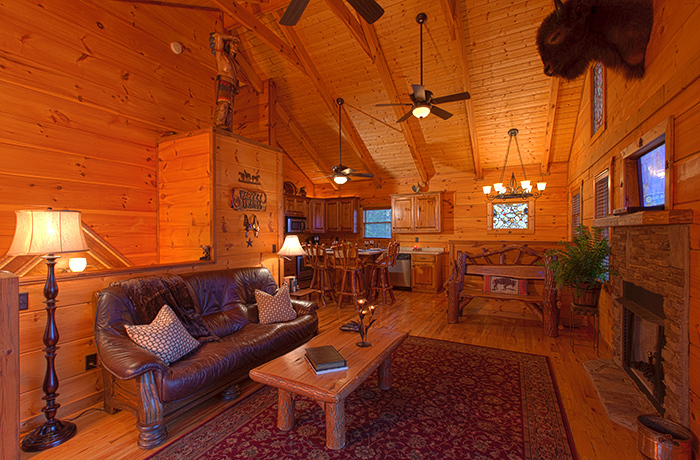 Thank you for making the cabin welcoming! Love, the Rogal Family P.S. Best Vacation Ever! !